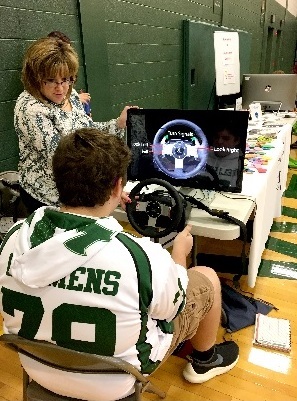 Safe Teen Driver Events– These events feature distracted and impaired driving simulators, and “fatal vision” goggles. Information about consequences of unsafe driving is offered by the district attorney’s office and local law enforcement. All workgroup members, including a local bank and insurance company offer educational information to teens during these events. Car Seat Safety Checks– In observance of Child Passenger Safety Week, car seat safety checks are planned at local sites. Read about the past car seat safety checks and the 2017 theme ,”The Right Carseat, Used the Right Way” in our Sept. 2017 Newsletter. Social Media Safety: Read about the “Parenting the Snapchat Generation” guest speaker presentation co-sponsored by the Partnership. For more Tioga County Partnership updates: Subscribe to the Partnership’s e-newsletter! 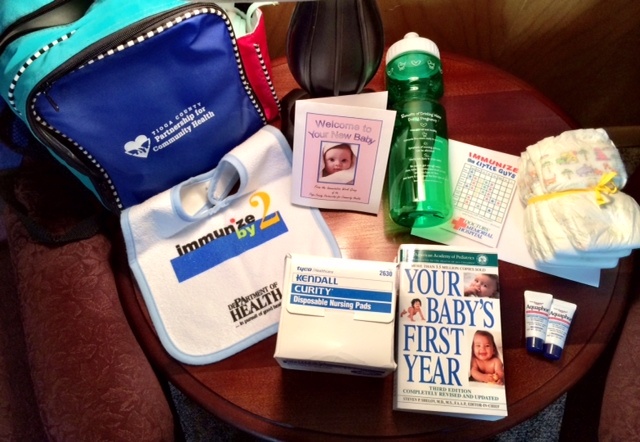 For National Infant Immunization Week in April, the work group presents each new mother a back pack filled with information on the importance of immunizing her child, parenting information, diapers, and other helpful baby-care items. This project is implemented at Soldiers & Sailors Memorial Hospital, in Wellsboro, PA. Flu Clinics The workgroup planned and coordinated with local area venues to offer free flu clinics to those in need. While funding for these free clinics has waned, the group still works to educate about the importance of vaccinations. These placemats featured immunization facts for each season and all ages. Information included was specifically tailored for infant and children, college-bound students, and adults.